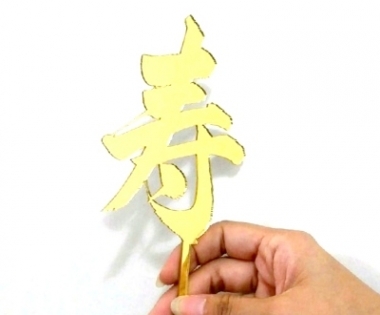 Mini sized "shou 寿" topper (est. 4.2" tall Chinese character) for senior birthday! Made in acrylic material. Gold color.